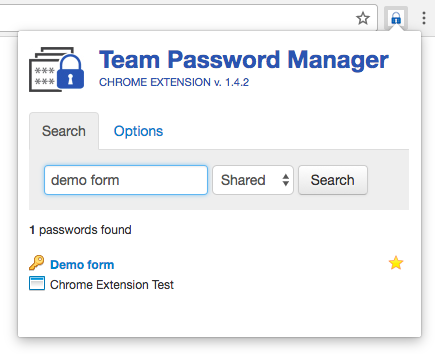 This document describes how you can use Team Password Manager's Chrome Extension to autofill login forms and to save web passwords in your installation of Team Password Manager. The Chrome Web Browser, a recent version. 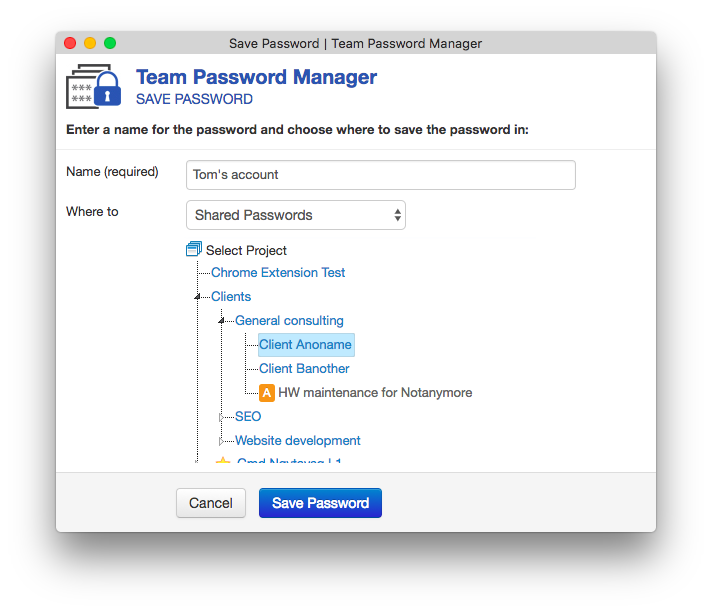 A running installation of Team Password Manager, at least version 6.56.118, and a valid user in this installation. 2. 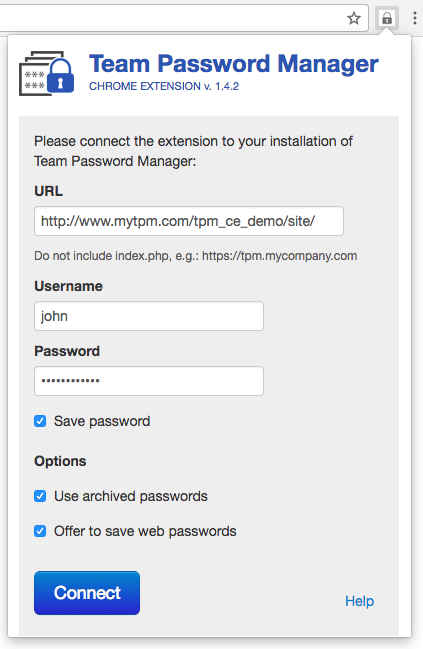 Fill in the URL where your installation of Team Password Manager is located (the part before index.php), your username and password and if you want your password to be remembered for the next login ("Save password"). Optionally, choose to "Use archived passwords" if you want to fetch archived passwords to autofill forms and check "Offer to save web passwords" if you need this feature. Click "Connect" to connect the extension. You can disconnect whenever you want by clicking on the extension icon (which now it's blue because the extension is connected) and then clicking on the "Disconnect" button inside the "Options" tab. Note that if you quit the browser it will automatically disconnect. You can also change the two options - "Use archived passwords" and "Offer to save web passwords" - without having to disconnect, just clicking on the corresponding checkbox. Note: unfortunately sometimes the extension is not able to find the username and/or password fields. In these cases the autofill feature cannot be used. 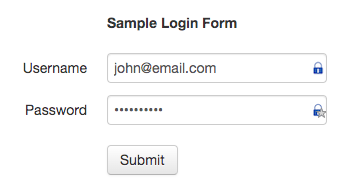 We're constantly improving the extension so that in the majority of cases the login fields are found. 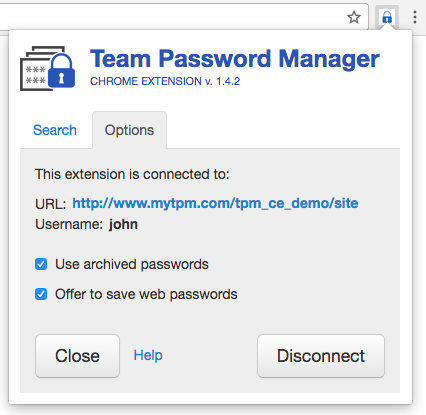 Note that the extension will look for shared passwords and also personal passwords ("My Passwords"), presenting them in different tabs. Note: to use this feature you must have it enabled in options ("Offer to save web passwords"). 1. Go to the page where the form is located. 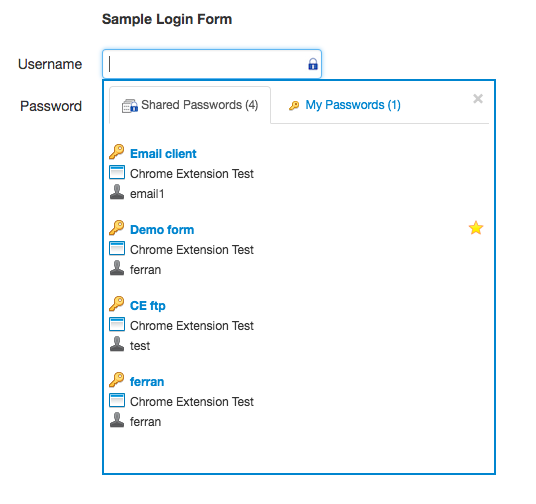 As before, if the extension can find a username/e-mail and a password field, it will place a lock icon inside these fields: a blue lock icon for the username and a blue lock icon with a star for the password. Note that you can use the advanced search operators in the search string as if you were searching from within the web app. After clickin search, you'll be presented with the password entries that match the search string. Clicking on the name of the password, the extension will open the corresponding URL and fill in the username and password. If you see that the name is not "clickable" it means that there's no URL (Access field) in the password entry. - Save user password (optionally). - Toggle options without having to disconnect. - Search for a password in popup, open site and fill in username/password.